There's nothing more delicious than Italian food. I don't care what anyone says – whether it's the warm, rich buttery flavors of Northern Italy or the spicy, soul food of the South, there is little more comforting than sitting down to a scrumptious bowl of Italian cuisine. However, with all that delicious oil, cream and butter, comes a certain shall-we-say risk to your waistline. Northern Italy in particular is famous for its predilection for fatty, game-y meat. However, with just a few astute substitutions – in this case low-fat, versatile turkey - you can enjoy any flavor combination with the minimum of disruption to your healthy living routine. This meatloaf is very much a hybrid meal, taking advantage of turkey's ability to exemplify whatever flavors it's cooked alongside. The rolled oats you choose to add heft to the loaf depend upon your personal taste but the thick kind is the sort you'd use in granola and the thinner ones are kind you'd find in something like instant porridge. It's up to you what you us. 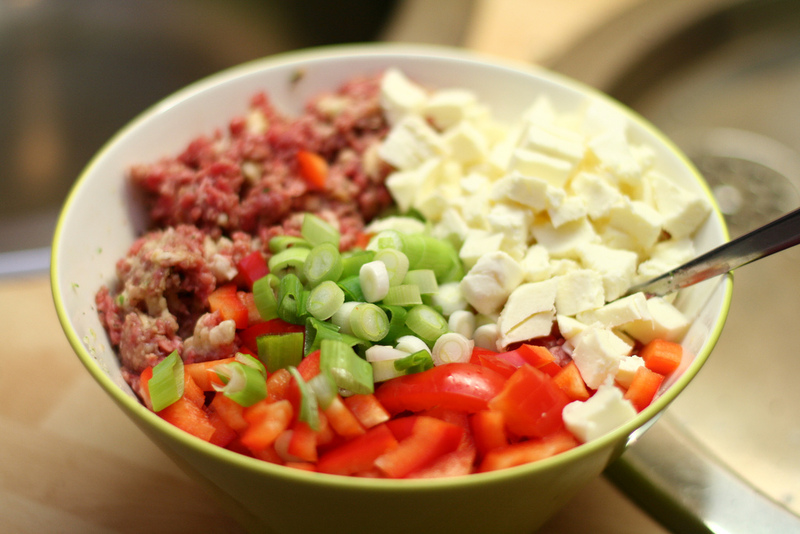 Combine the meats, eggs, oats, onion and milk in the large bowl. Add the Worcestershire Sauce, Italian Herbs, Garlic Powder and Salt. Mix them well together and then form into a loaf. Cram delicately into the baking dish and smooth over. In the small bowl, combine the passata, hot sauce and barbecue sauce. You may want to throw in a little more Worcestshire Sauce – I certainly would. Then, using a small knife, stab little holes all over the meatloaf and then pour the passata mixture all over. This recipe should serve about six people, and I recommend it with a nice mozarella and basil salad, doused with a little olive oil and balsamic vinegar. Delicious! These hollowed-out aubergines stuffed with turkey mince and pearl barkey are a delightful, low calorie winner and are full of the fulsome Mediterraen flavours that are so richly welcome, no matter what the weather is like outside. Halve the aubergines and scoop out the flesh, leaving a small rim. Turn the aubergine shells over and put them on a baking sheet. Spray with non-stick oil. Chop the aubergine flesh and add it to a saucepan, along with the turkey, pepper, onion, and garlic. Cook for around 4 minutes and then add the chopped tomatoes, water and barley. Cover and then simmer for around 25 minutes or until tender. In the meantime, lightly grill the aubergine shells until they are lightly charred and soft – it shouldn't take longer than a few minutes. Stir the basil and spinach into the turkey mixture and then spoon it all into the aubergine halves. Sprinkle with the parmasan and serve with a hearty green salad. Like all turkey recipes, it's an ideal light lunch and is only around 300 calories per serving – can't be bad! Kelly Clay is a writer and genu-ine food enthusiast.